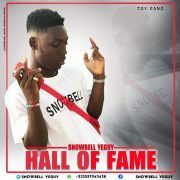 Snowbell is out with another mind blowing rap jam. The hot rapper explained a lot in his 'hall of fame' song. Download and enjoy.